Joseph Yu was born during the second world war in a small village in South China. He spent his childhood as a country boy and did not receive any formal education until he came to Hong Kong at the age of eleven. Yu studied Mathematics and Physics in the University of Hong Kong, graduating with a B. Sc. Hon., in 1966. At that time he was a skeptic, and abhorred all kinds of superstition; he vowed to destroy such absurd beliefs of ignorant people. He frequented libraries, trying to find fault with Astrology and Feng Shui from ancient books. However the deeper he went into these subjects, the more excited he became about the rich legacy of ancient Chinese culture. Whether or not to become a professional astrologer and geomancer or continue in the fields of mathematics and physics, became a constant dilemma. Astrology and Feng Shui has been viewed as superstition. Astrologers and Feng Shui masters have been linked with fraud for centuries. In order for more people to understand what Chinese Astrology and Feng Shui really are, he chose to ally himself to the traditional Chinese wisdom. 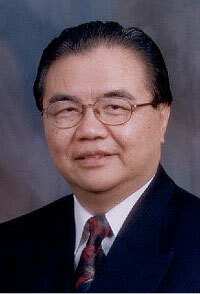 Joseph Yu founded the Feng Shui Research Center in 1998. Currently (2016) he remains highly active as an author, teacher, lecturer, and practicing traditional Feng Shui Master. For further information see "Chinese Astrology and Feng Shui - Sitemap"
"Interview mit Joseph Yu, Feng Shui Research Center Toronto, Canada"